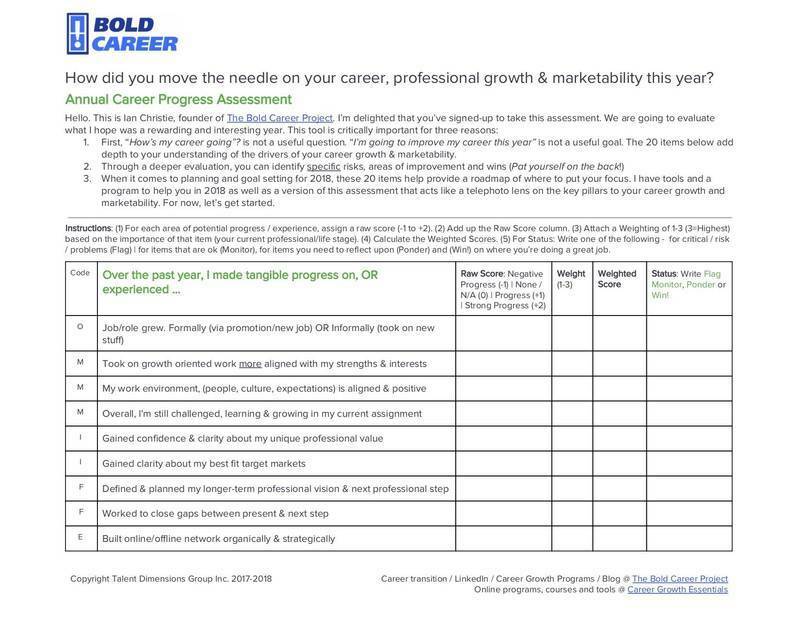 As we wrap up 2017, I wanted to send you a brand new “Evaluate Your Year” assessment tool as a thank-you gift for helping to make this a great year (and to help you kick-off 2018 in a stronger fashion). Here’s the deal: Before we can plan for 2018, we need to take both a critical and appreciative look at where we’ve been this year. In just 10 minutes you can identify areas in which you’re doing well and experiencing wins as well as areas of risk and inattention. What’s your 2017 career management progress score? Open your present: To get your copy, just visit this page on my Career Growth Essentials site. Thank you. This has been a great year and I’m grateful for all of the clients, customers, subscribers, partners, friends and family who’ve helped to make it so. My very best wishes for a Happy and Peaceful Holidays!